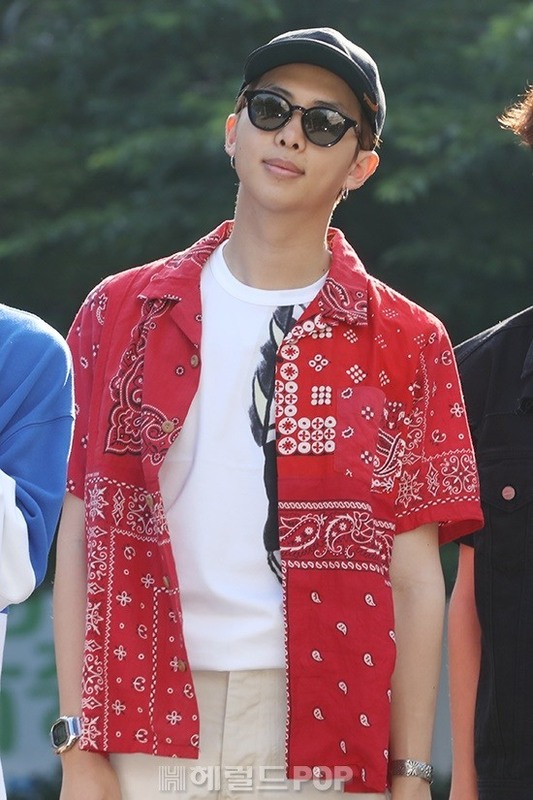 Today the world recognizes RM as a talented musician with top-notch songwriting skills and incredible leadership. 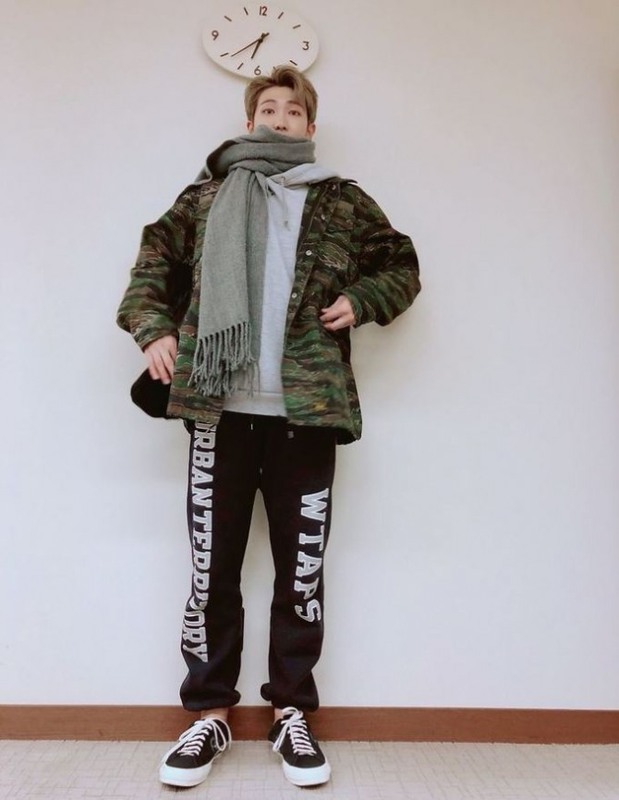 What’s often overshadowed is the BTS leader’s fashion savviness. He knows how to work his wardrobe whether casually strutting down the street or stealing the spotlight at shows. His outfits certainly prove that he deserves to be the talk of the fashion crowd. 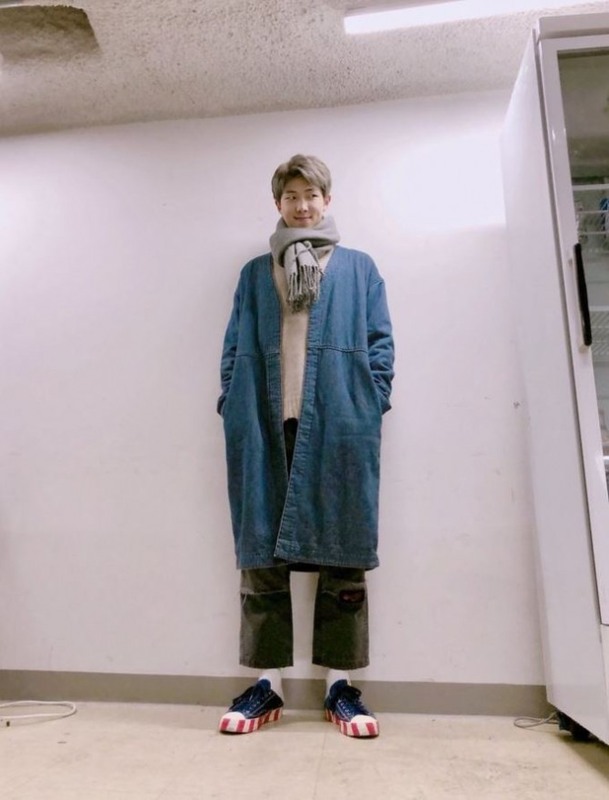 Even casual outfits seem to become extra special on RM. Here are some of his best fashion moments to date. In a photo taken in August last year, RM is spotted arriving at Incheon Airport for a flight to Singapore. He was clad in a black jacket over a plain white T-shirt, and black pants. 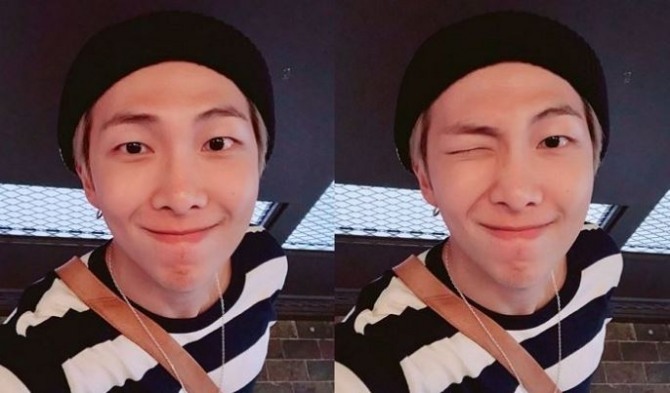 The singer once said in an interview that his favorite accessory for any outfit is either a cap or a beanie, and on this occasion, he completed his black-and-white outfit with a black beret. RM seems to have a penchant for this shade, as he wore the color on several other occasions mentioned below. 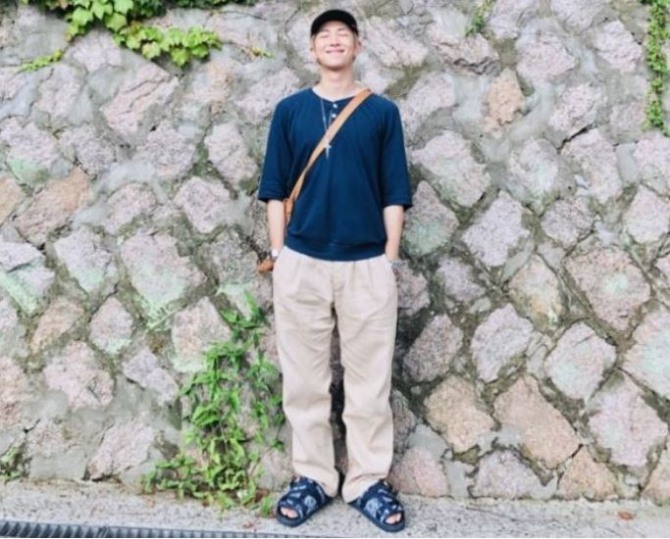 This photo, taken in June this year, proves that the hip-hop spirited musician is not always about oversized Supreme hoodies and baggy pants. By pairing an embellished red Hawaiian shirt -- a perfect choice for the weather -- with simple beige linen pants, RM effortlessly created an inspirational summer look. He layered a white T-shirt under the vividly colored outerwear. The artist makes good use of this particular T-shirt for other stylings, as seen in this photo. He also slipped into comfortable-looking sneakers and wore black shades and a matching black cap. His silver earrings were an edgy detail. The street-savvy super star knows how to dress for a red carpet event. 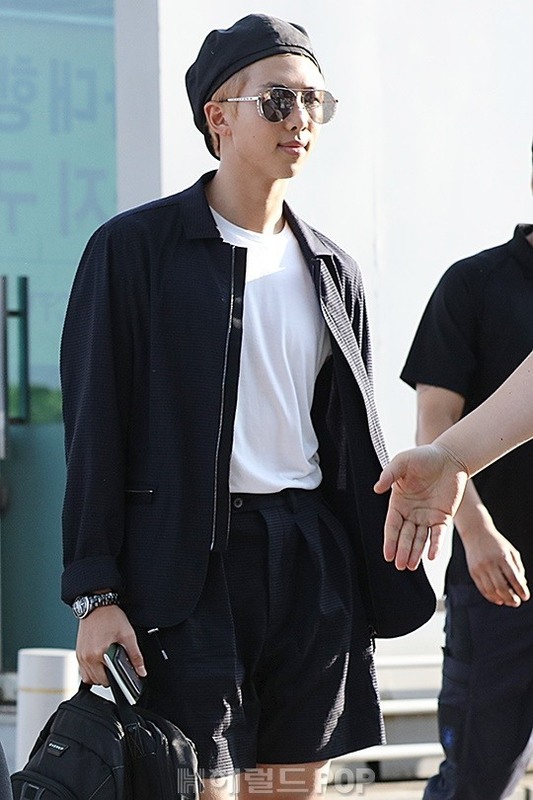 In this photo taken in January this year, RM arrives at a photo wall before hitting the Golden Disk Awards with a perfect red-carpet-approved ensemble. 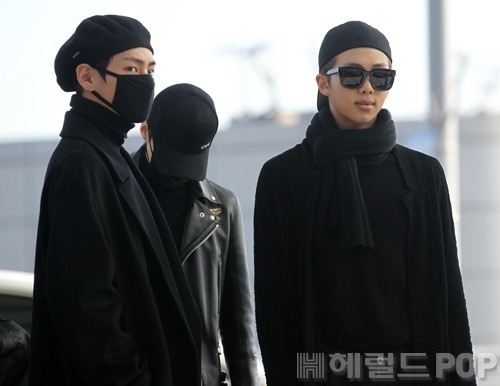 With his hair pushed back, RM wore a classic black blazer with a white turtleneck shirt underneath. And could he be any cuter? He wore glasses, and we can only guess that it was an attempt to look serious. He also didn’t forget to embellish his hands with silver rings. It is, again, an outfit that surprisingly looks put together on the singer. 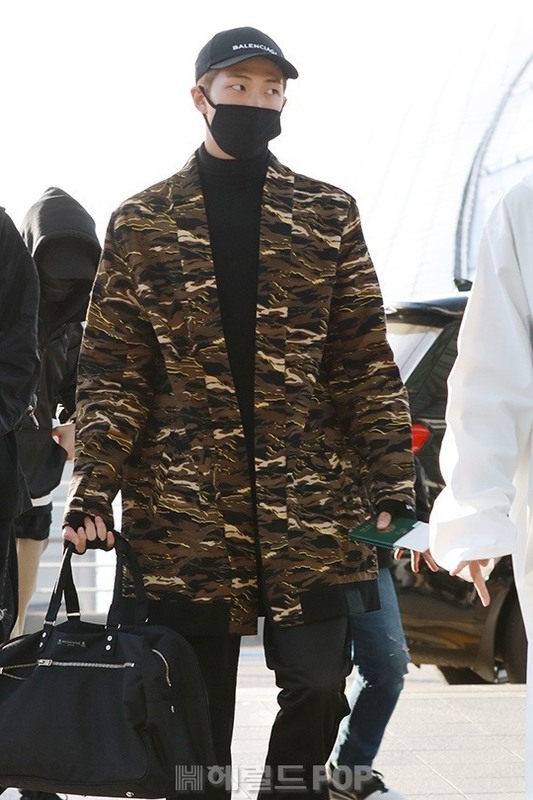 Overflowing with a hip-hop vibe, RM nailed this roomy camouflage jacket as he arrived at Incheon Airport in November last year to fly to Hong Kong, where the group attended the Mnet Asian Music Awards. To balance out the camouflage pattern, he opted for pitch-black for the rest of the look with a turtleneck and a cap. He also covered half of his face with a black mask. 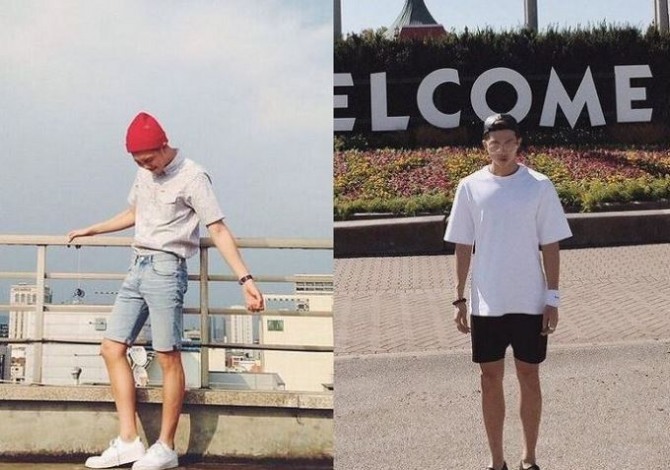 So tell us, what are your favorite RM looks?